The efficient use of natural resources, as well as the reduction and elimination of waste, constitute a priority in the DIA Group’s activity. The company uses eco-design criteria in its packaging, promoting re-use and recycling rather than dumping and encouraging responsible conduct among customers and employees. 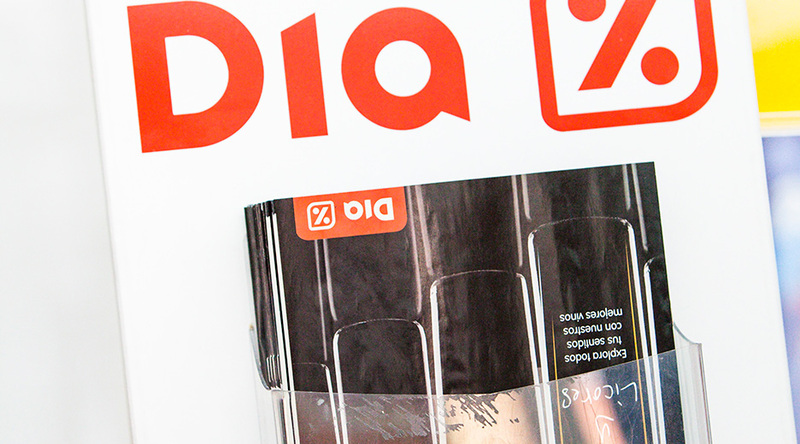 In line with the DIA Group’s commitment to waste management, in Spain the company forms part of the Board of Directors of Ecoembes, a non-profit organisation in charge of everything relating to the management of packaging, plastics, paper and cardboard. According to the Waste and Contaminated Soils regulations in force in Spain, companies are required to manage all of the waste generated by the products they place on the market. The DIA Group paid EUR4m to Ecoembes in 2016 for the management of the Green Dot, which is determined according to the packaging placed on the market. for Ecoembes is in charge of the viability of the integrated waste management system, both for the management of collection points as well as for the service provided by recycling plants. The company works on the optimisation of its packaging, which allows not only greater efficiency, but also a greater commitment to emissions and recycling. Therefore, the DIA Group works on the implementation of improvements relating to the size and cardboard grammage used and the use of more readily degradable materials. Some of these packaging optimisation initiatives are reflected in the Three-year Prevention Plans for containers and packaging submitted to Ecoembes, which audits and validates the measures adopted and the quantitative improvements they imply. The DIA Group has a digital process management tool (BPMS - Business Process Management Suite) that integrates diverse blocks relating to the development of items of the Own Brand (quality, packaging, commercial, etc). The implementation of this system allows the company to proceed with the progressive digitalisation of documents, with the aim of reducing the use of paper in these processes. DIA has sealed containers distributed in the headquarters and other centres in Spain, where personnel can deposit confidential documentation of the company. These containers are collected monthly by a specialised manager who destroys the documents using a serrated mill with a shredding process that reduces the paper to millimetric particulates of 320 mm2. The shredded paper is taken by the manager to a recycling plant, significantly reducing the environmental impact. In 2016, 19,940 kilograms of paper of this type of documents were collected, processed, and recycled. In Portugal, work is underway to use recycled paper for sales brochures published by the company in that country. In 2016, the consumption of non-recycled paper plummeted by 93%, no longer using 1.33 million kilos of this paper. Furthermore, progress was made in reducing consumption of plastic wrap in warehouses, achieving a 6.5% reduction of this material.